Access to EU markets: mission possible? Innovative solutions, the new regulatory environment, and credit lines help Ukrainian producers export to the EU. Amidst the political and economic challenges facing Ukraine today, Ukrainian producers have the opportunity to gain better access to EU markets. 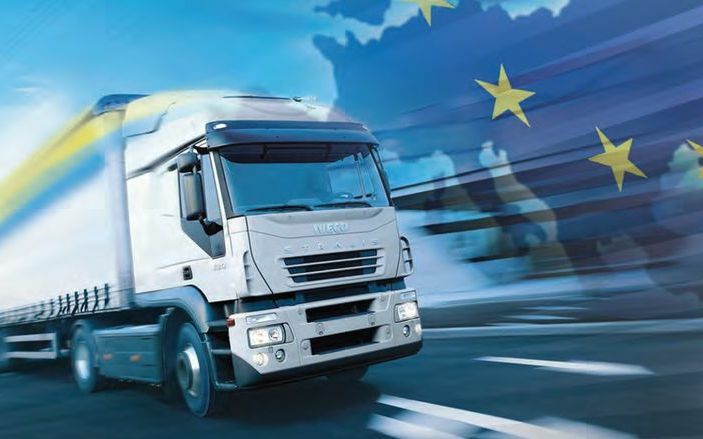 The EU is Ukraine’s main trading partner, accounting for over 31% of Ukraine’s exports, so the prospect of trade with the EU promises many opportunities for Ukrainian companies. But “no pain, no gain.” To establish successful business contracts with EU partners, Ukrainian producers need to do their homework. Producers learn about concrete steps forward and real success stories through workshops conducted by various Ukrainian organisations on doing business in the EU (see information about some of these seminars at the end of this article). Specially-designed guidelines on access to EU markets, a handbook written by Oleh Miroshnychenko, an expert on EU trade, helps Ukrainian businesses get practical information on access to EU markets. It provides information about opportunities on EU markets, on key information resources which can help; it also provides tips on how to look for trading partners. The second step is to learn the EU directives for the respective product. The guidelines also provide interpretation of the complex EU directives along with links to translations and summaries of EU legislation. Alternatively, to get an answer directly from EU officials, producers can contact EuropeDirect. In order to get assistance on exports you can address EU Export Desk, a specially designed EU service. Another way to trade successfully in the EU is by creating clusters with other companies. Volodymyr Patis, a Ukrainian businessman who has successfully started exporting to Scandinavian countries, advises producers to cooperate with other companies and to be flexible to beat out competitors. To create a cluster, companies can use an online platform for cluster cooperation: www.clustercollaboration.eu. Producers can register, find a business partner, and, in some cases, can even expect some financial support from the EU to develop business cooperation. Patis explains that the European markets are often conservative and innovative solutions are therefore in high demand. Instead of exporting raw materials or products, Ukrainian exporters should provide creative solutions and products resulting from cooperative activities. An almost-finished product coming from Ukraine that would require little further input but would be marked as “made in the EU,” is an attractive cost-cutting option for EU-based companies. Luc Derieppe, a French businessman working both on Ukrainian and EU markets, reminds that South-Asian producers have been very successful in entering EU markets, even they were not “expected” on them, and says there is no reason why Ukrainian businesses cannot do the same. Taras Kachka, acting president of American Chamber of Commerce in Ukraine, says that the Association Agreement will in the mid- and long-rung create a more favourable legal environment for Ukrainian exporters, especially in the fields of technical regulations and food safety. However, progressive business culture, creative solutions and capacity to find partners in the EU remain key factors facilitating the market entry. In addition to training sessions and workshops, Ukrainian entrepreneurs can also get advisory services and lines of credit from the EU financial institutions in Ukraine. The European Bank for Reconstruction and Development (EBRD), jointly with the European Investment Bank, have recently announced the launch of a new €19 billion programme for Ukraine. One of its key goals is to help SMEs export to EU markets. €1 billion is earmarked for 2015 to provide loans for SMEs. Loans will be provided in euros, for companies exporting to the EU and having revenues in euro. An possibility is also discussed to provide loans in hryvnia. This programme will include advisory services on how to enter new markets, how to find potential clients, and how to implement quality management systems in accordance with EU directives, for example. Stella Melnyk, head of the EBRD regional programme on support to SMEs, notes that the “EBRD has already provided consultations to over 300 companies,” and adds that “up to 80% of the costs of the advisory project are covered by the EBRD itself”. Melnyk also encourages SMEs to apply for EBRD credit lines, explaining that the EU financial institutions hope to provide assistance on several different aspects, including improving competitiveness on the local market, increasing exports, and developing the Ukrainian agro-sector. A series of seminars “How to enter the EU markets”, initiated by Internews Ukraine with Kyiv-Mohyla Business School under the support of the International Renaissance Foundation.